According to a report in the German newspaper “Süddeutsche Zeitung,” a massive amount of listeria-contaminated meat produced by German company Sieber has been recalled and pulled from distribution. The main products targeted by the recall are sausage and ham products, though all meat products from the company are being recalled out of an abundance of caution. The company, one of the largest distributors of packaged meat to supermarkets in the country, will have to dispose of 100 tons of meat, according to current estimates. The statement posted on the company’s website proceeded to state that its products had been removed from supermarket shelves and other retail establishments. Retail sales aren’t the company’s only concern, however. Meat produced by the company is also served at Munich’s Olympic Park and the Munich International Airport, the company website states. The German Federal Ministry of Justice and Consumer Protection – Bundesministerium der Justiz und für Verbraucherschutz (BMJV) in German – released a statement regarding the situation on Friday, according to online publication Deutsche Welle (“DW”). “Potentially, the ham and sausage products are contaminated with listeria and hazardous to heath,” the BMJV press release stated. 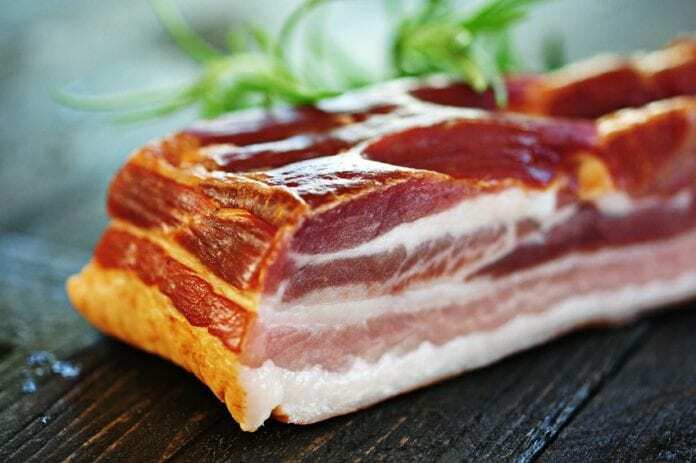 Additionally, Germany’s Robert Koch-Institut (Robert-Koch Institute), roughly analogous to the US Centers for Disease Control and Prevention, established a link between a listeriosis outbreak in Southern Germany and Sieber’s “Original Bavarian Wammerl,” a regional pork-belly dish. The outbreak of listeriosis, the illness caused by consuming Listeria-contaminated food, began in 2012 and is ongoing, said the BMJV statement. The bacteria are most likely to cause illness in the elderly and people with otherwise compromised immune systems. The pathogen also may severely affect pregnant women, causing miscarriage or other adverse effects. “After recently probing Sieber’s current range of meat products, five positive cases of listeria were uncovered in different sausage products,” stated DW. The site said that the company is particularly well-known for its canned sausages. For its part, BMJV stated that, despite the fact that listeria was not found in all of the company’s products, all of Sieber’s products are being recalled in an abundance of caution. The company’s “imitation” meat – geared towards vegetarians – is among the 206 products that the company has ceased producing and pulled from distribution.